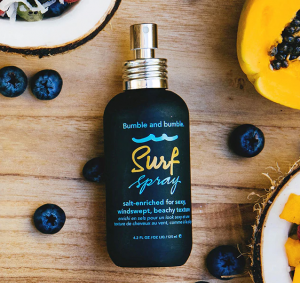 Home | Hair Care | Top 5 Sea Salt Sprays Breakdown: What Is Sea Salt Spray? Have you ever looked in the mirror after a day at the beach and thought ‘Wow, who is that hair model?’. You may look (and feel) special, but you’re not the only one. The secret to this global beauty phenomenon is sea salt. The same sea salt that you find in the seasoning aisle of the supermarket is naturally affecting your skin and hair as you roll in the waves. And it works its wonders on virtually all hair types. 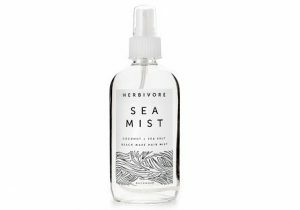 It’s no wonder we’re harnessing this natural beauty product, and enhancing it, in Sea Salt Spray. Salt spray gives your limp hair life and allows it to have that added texture that you don’t get naturally. If your hair is a little limp or you want to achieve that tousled look then this spray might just be what your hair is longing for. Still not sure exactly what it is, keep reading to find out! Sea salt acts as a natural cleanser, giving your skin tighter pores, and your hair volume, hold and movement. The only downside is that it can dry your hair out – sometimes it just doesn’t know where to stop with the cleansing. That’s where sea salt spray comes in. By mimicking the same properties as sea salt, sometimes just straight up adding sea salt itself, the spray can compliment all of sea salts incredible qualities, with equally naturally nourishing qualities. A good sea salt spray can be used by anyone, no matter your hair type. For fine hair it delivers volume, body and texture. A really good spray can even help with hair regeneration and thickening. People with oily hair enjoy the same volume, but with the added benefit of the balancing agent in the salt spray reducing any excess oils. 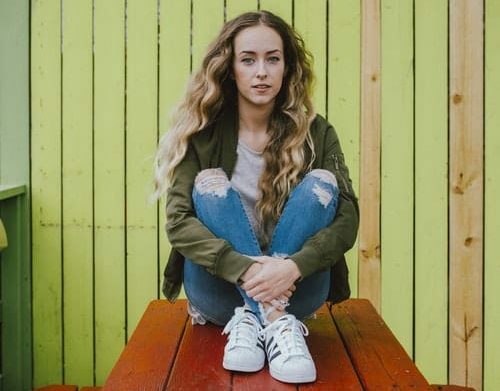 Curly and straight hair alike will notice improvements in the movement of their hair from extra texture in straight hair and bouncing, defined curls on the other end of the spectrum. It can be used on its own, as a hold in a braid overnight, or as part of an elaborate hair concept. Sea salt sprays are taking over because who doesn’t need a little natural hold in their life? 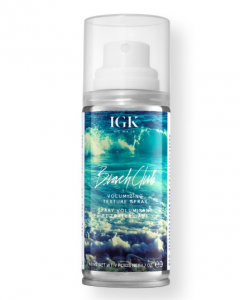 If you’re looking for the real deal of texture sprays then IGK Beach Club Texture Spray’s is the place to start. 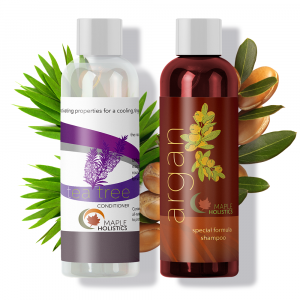 It’s great for all hair types: straight, wavy curly, super curly – all the hair. There’s a reason these guys are at the top of the game. The formula is salt free so it actually adds and locks in moisture. This means that you get that beach look minus the feel of dried-out hair. It’s a color safe spray with UV protection, so it’s got you covered from all angles. Real feel is non crunchy and build-able, meaning you can apply and add as you feel necessary. A high-end product needs to strike a high-end scent and this product delivers. It serves scents of guava, coconut water, pink lotus, midnight violet and vanilla. It’s basically summer in a can. The Beach Club Texture spray is free of Parabens and Phthalates, making them leaders in the natural beauty formula. And for further peace of mind, IGK are vegan and cruelty free. The texture spray comes in two sizes: standard for home and mini for on the go. Just as the name suggests Herbivore is dedicated to all things natural. Even the packaging serves purist vibes. All Herbivore ingredients are plant-based, organic, and food-grade. Each ingredient is included for a therapeutic reason. But don’t get me wrong, basic ingredients don’t make this product basic. Far from it. They really know their stuff, every ingredient serves a purpose and is extracted in the most beneficial way to deliver the highest quality product. Their Sea Mist is formulated based on the properties of the Pacific Ocean, supplemented by the addition of aloe vera to give your hair balance. The saline component of ocean mists tend to dry hair out and make them brittle and crunchy. Aloe Vera is a natural moisture lock to counteract this and give your hair a soft feel while maintaining waves. The addition of coconut and vanilla oils give this spray a calming summer afternoon vibe. Not only is this product build-able, meaning you won’t get that crunchy feel by reapplying, but it actually gives you a few days of incredible tousled locks! Captain Blankenship Mermaid Sea Salt Hair Spray. Mermaids have held fascination with both men and women alike since the first ship left the first shore. Free, mythical and mysterious, mermaids represent adventure! Captain Blankenship takes these whimsical creatures and models their Mermaid Sea Salt Hair Spray on these principles. 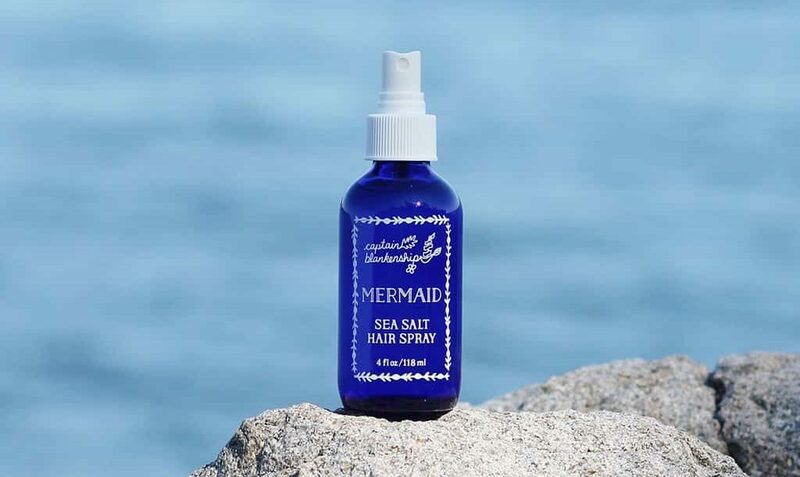 Giving you playful waves with adventurous texture, Mermaid Sea Salt Hair Spray uses natural ingredients like aloe vera and sea kelp extract to moisturize and give gentle hold. The addition of essential oils gives this product a charming floral scent. Captain Blankenship has recently added a sister spray to it’s crew. The new addition boasts all the same properties as her predecessor but with the addition of mica, creating a glitter effect. Live your mermaid fantasy and glow with perfect locks. 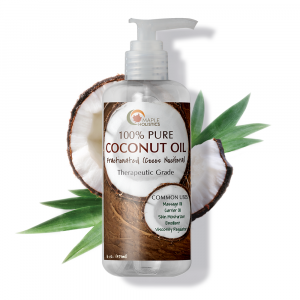 This product is vegan, gluten free, cruelty free and hypoallergenic! So it’s perfect for those of us with sensitive hearts and sensitive skin. 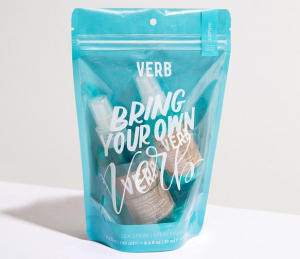 Sea Spray by Verb combines texture boost with leave in hair mask. The key ingredients in Verb really speak for themselves. Green tea extract means it’s packed with antioxidants to protect and nourish your hair; Natural sea salt acts as a volumizer and adds natural texture. 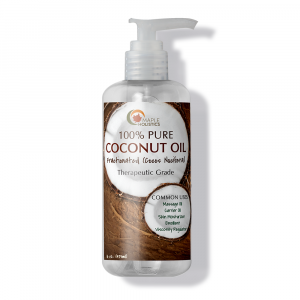 It’s full of amino acids, vitamins and minerals that not only prevent breakage but actively encourage hair growth. 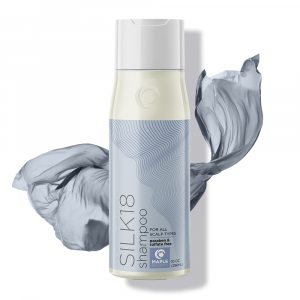 Seaweed extract and Kelp cleanse the hair by providing natural hydration. Lastly, sweet almond fruit extra seals in moisture, strengthens hair and smells subtly amazing. With such attention to ingredients you’d only expect that Verb would be cruelty free, sulfate free, paraben free and gluten free…and you’d be right! The natural salt in the Sea Spray can get crunchy, so be careful to not over use. Other than that, enjoy the benefits of looking great and nourishing your hair! This brand started out as one salon in New York City back in 1977, and basically now owns the country. People are in love with B&b for it’s mid-range affordability and uncompromising quality. Bb products are free from parabens, phthalates, mineral oils, and formaldehyde, leaving you with healthy, happy, active ingredients. Their Surf Spray formula is modeled on the makeup of seawater and then some. 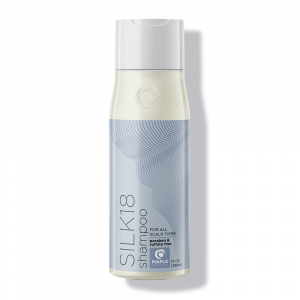 The addition of kelp and seaweed extract means that the Surf Spray is actively working on hair growth and follicle renewal while it clarifies your strands of all the gunk. Getting ready for a day out this is an essential go-to hair product. Protecting against UVA and UVB rays, it’s honestly like sunscreen for your hair. If your hair is of fine to medium density and is generally healthy then this surf spray is just what you’ve been searching for to give your hair that extra boost. DIY? Please and thank you! Aside from the level of satisfaction that comes with doing things yourself, this one is ridiculously easy and cost effective. The idea of sea salt spray is lifted right from Mother Nature herself so how could you not be tempted to just make your own? It’s almost as if she’s asking us to go ahead and try it ourselves. Mix a cup of hot water with two tablespoons of Epsom salts. Stir in half a tablespoon of sea salt (or Himalayan salt if you want to be fancy), as well as Aloe Vera for those extra fortifying properties. Then come the optional additions: a couple drops of jojoba oil or almond oil for their wonderful nourishing properties as well as your choice of essential oil for fragrance. Pour into a spray bottle, shake and you’re good to go. How can one product offer hair hold, natural antioxidants, hair regeneration and hydration while smelling like you stepped right out of a tropical jungle? The answer is simply: sea salt spray. Not only is it great for you but sea salt spray means your hair stays picture perfect at any given time. Keep summer going all year ‘round! Sea salt spray gives the natural hold to create beach waves on its own, lift curls with minimal manipulation, and is an incredible natural holding agent to give your up-do something extra. Because who wouldn’t want to smell like summer the whole year round?